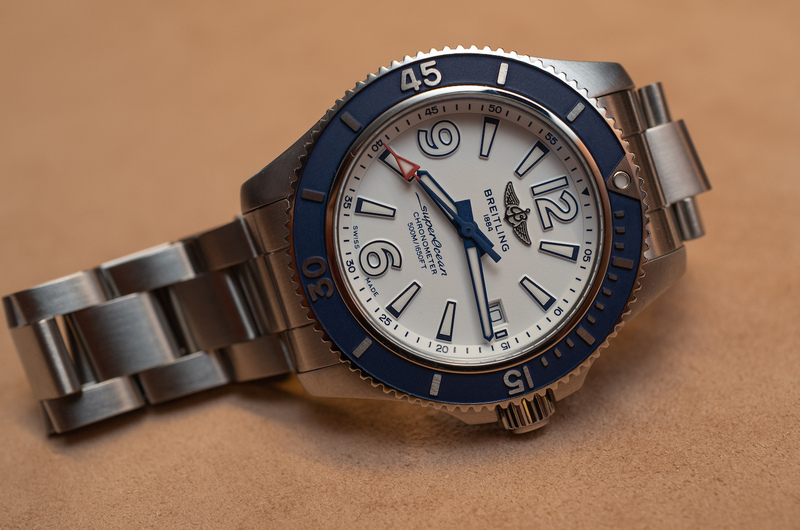 While Breitling is frequently associated with aviation, its dive watches are among the bestsellers. In fact, the Superocean Heritage is their top-selling line. 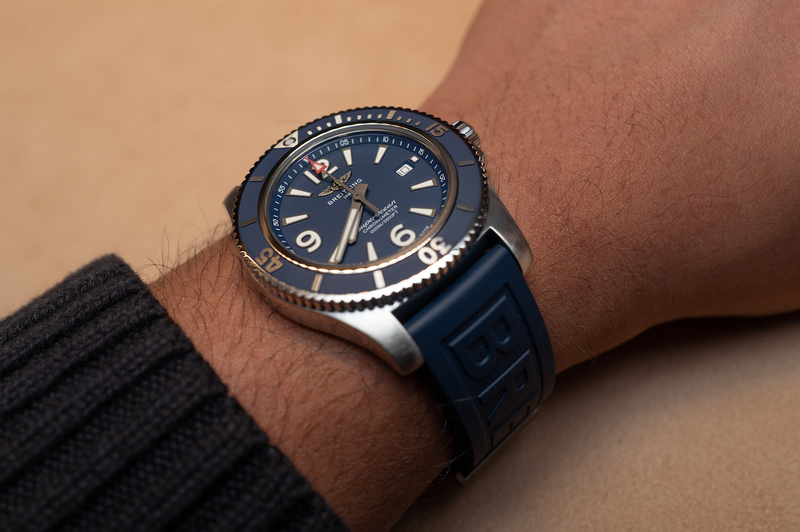 The more contemporary in design Superocean line got updated this year at Baselworld 2019, and the brand really did release a version for every type of wrist. 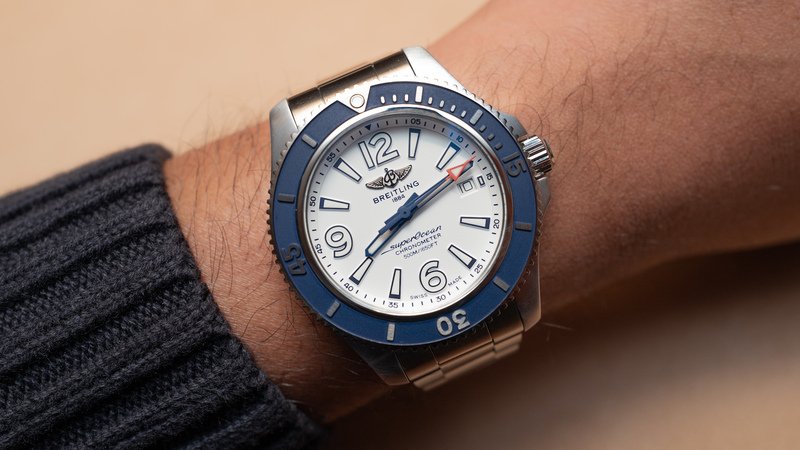 Coming in at case sizes of 36mm, 42mm, 46mm, and a unique 48mm, Breitling may have found the sweet spot for most people at the 42mm and 44mm sizes (though Breitling has truly made the Superocean a men’s and women’s watch collection). 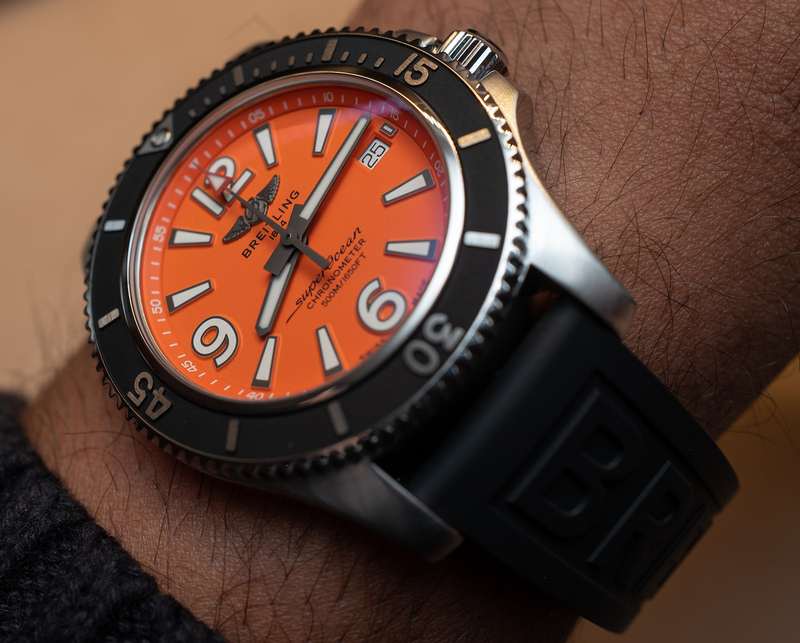 They’re available in the colors we’ve all come to know and expect, but I really found the orange and white dial models on the 42mm Superocean to be the standouts. Here I’ll take a look at the 42mm, 44mm, and 46mm versions. This updated Superocean remedies many of the issues a lot of people, including myself, had with the outgoing version. Much of this had to do with the dial, which had an outer seconds ring, minute track, numerals for each hour marker other than 3, and a 24-hour track. This was coupled with a date window, some hour indices, and the Breitling logo, which thoughtlessly cut through the digits on said 24-hour track. There were also four lines of text at 6 o’clock. Really, the dial just needed some editing and, thankfully, that’s what it got. 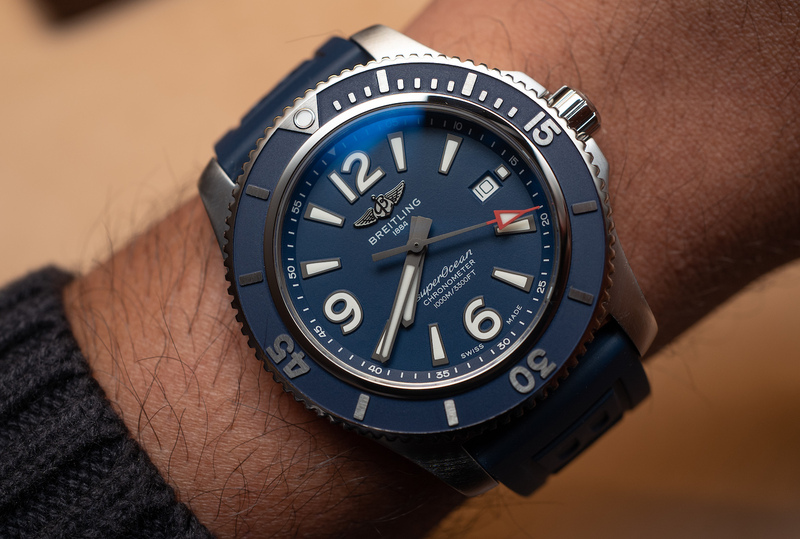 The new Superocean Automatic gets rid of the minute track, 24-hour track, a line of text, leaves hour marker numerals only at 12, 6, and 9, and finally, there’s absolutely nothing that is cutting through another aspect of the dial. It’s a lesson on how simply editing some things down can make all the difference. 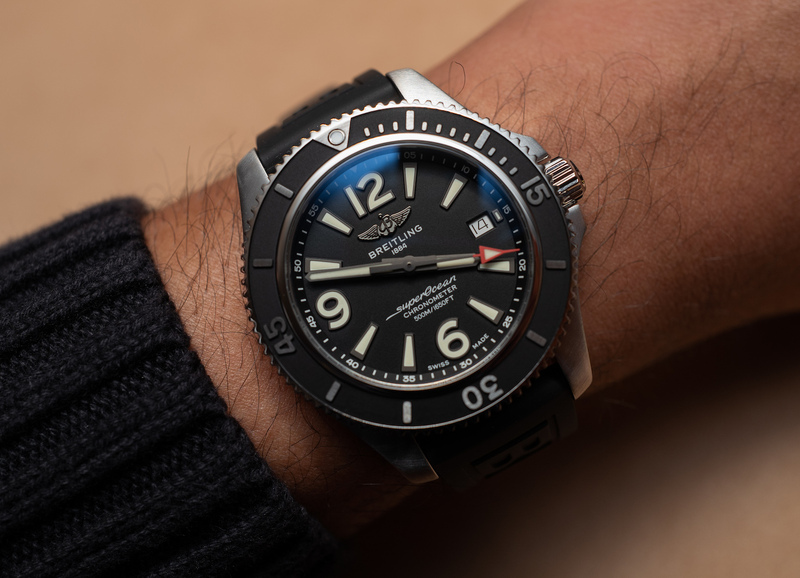 All in all, this makes the gap between the Superocean and Superocean Heritage more about personal preference than it was before, which was an unfortunate duality showing a brand’s worst and best instincts, respectively. The movement here is unchanged, all of the Superoceans being outfitted with the Caliber 17. This is a pretty widely used Breitling movement that operates at 28,800 vph and has a 38-hour power reserve. 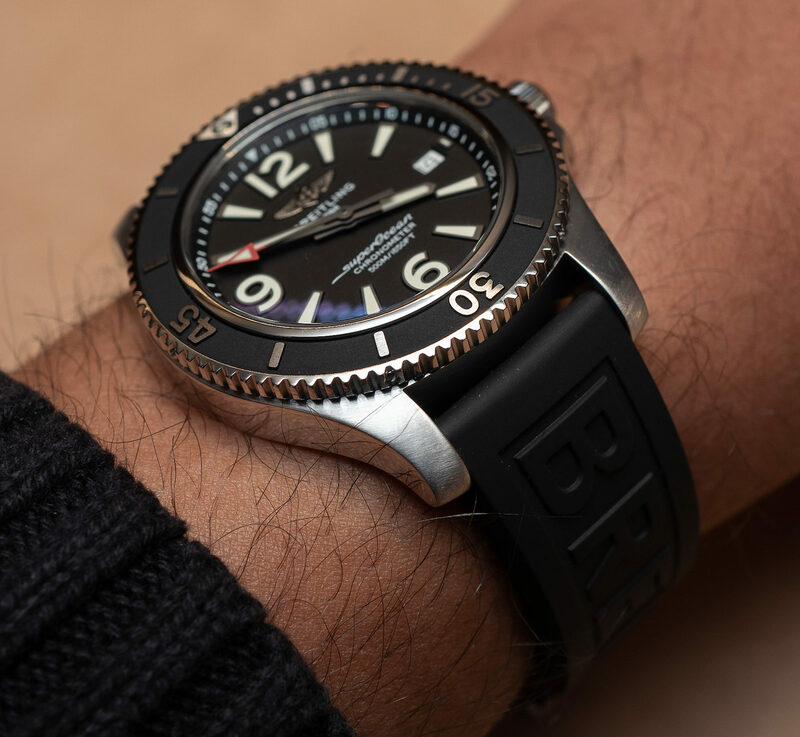 The Superocean Automatic in 42mm measures 13.32mm-thick and is water resistant to 500 meters. These are done in steel and come in three color schemes on either a bracelet or a rubber strap. 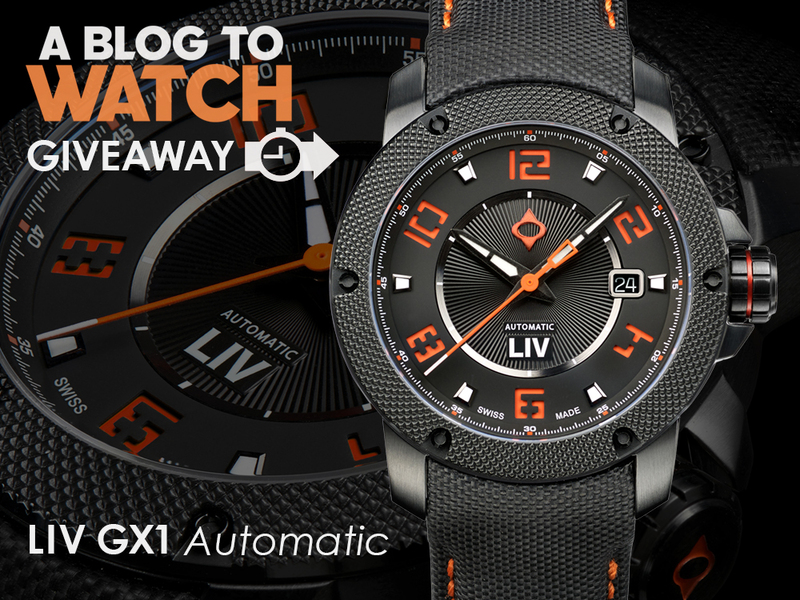 There’s the orange dial version with black bezel, white dial with blue bezel, and black dial with black bezel. The black version is nice enough, and I’m sure it will sell in huge numbers, but I really love the white and orange dial models. The color contrast on each respective dial shows a watch that doesn’t take itself too seriously but also isn’t gimmicky. The 44mm version is a little bigger in height at 14.21mm-thick, but water resistant to 1,000 meters. These also come in steel with more traditional colorways, with the black dial and black bezel version and blue dial and blue bezel version. Again, you’ve got each available in either rubber strap or steel bracelet. 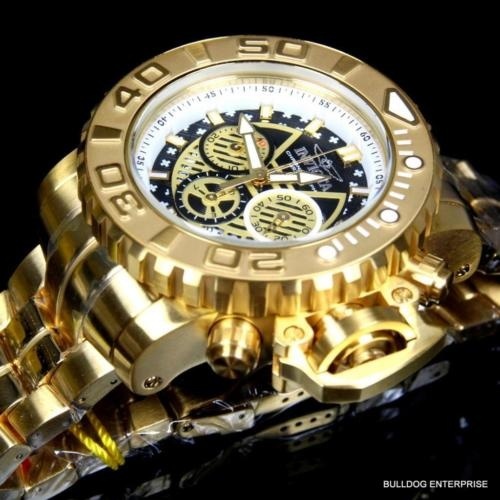 The 46mm version is 16.85mm thick and water resistant to 2,000 meters. 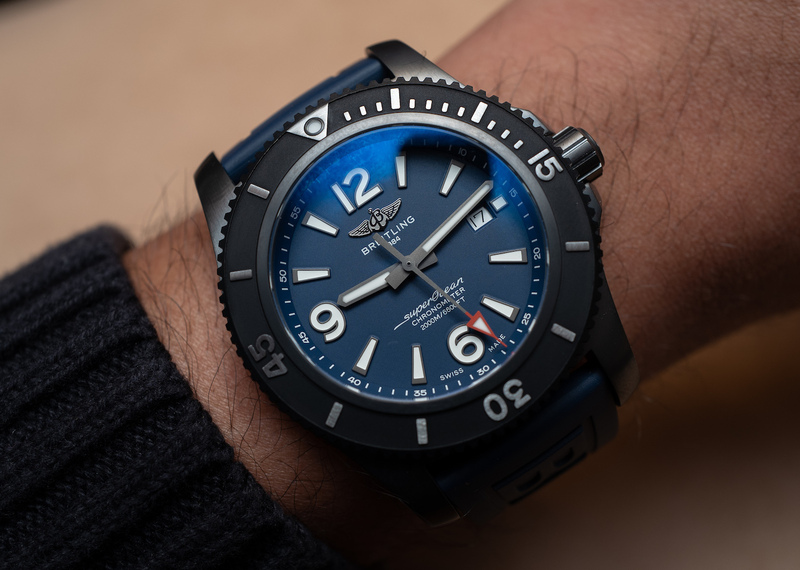 Again, available in the black dial and black bezel or blue dial and blue bezel, the 46mm comes in a black DLC-coated steel case, as opposed to simple stainless steel in the smaller models. 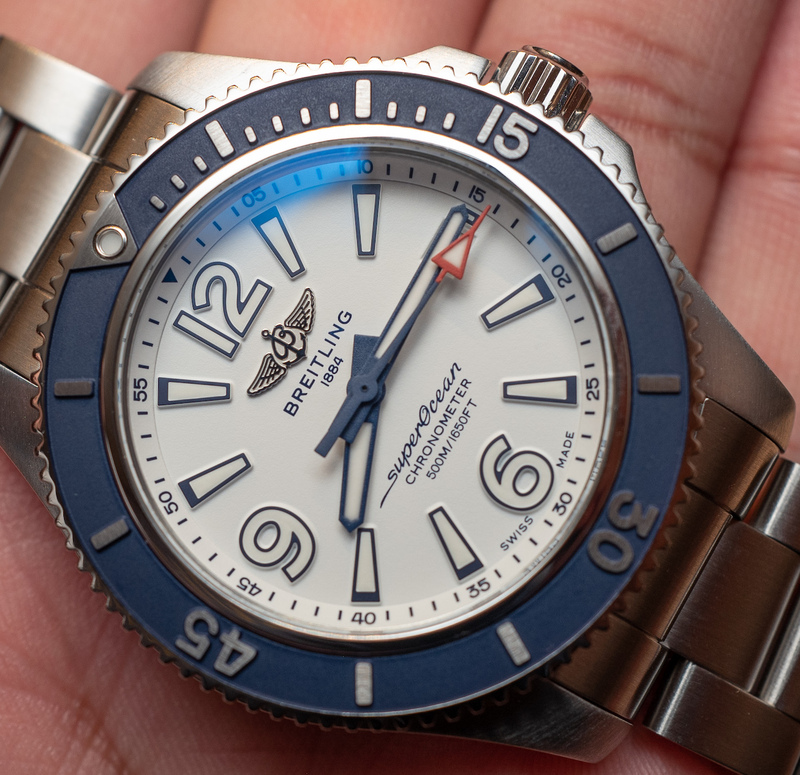 I figure someone interested in this bigger version is going to want a more aggressive-looking Breitling watch, which can explain this design choice. I personally do like it, though I would like to have the standard steel option if I were buying one. 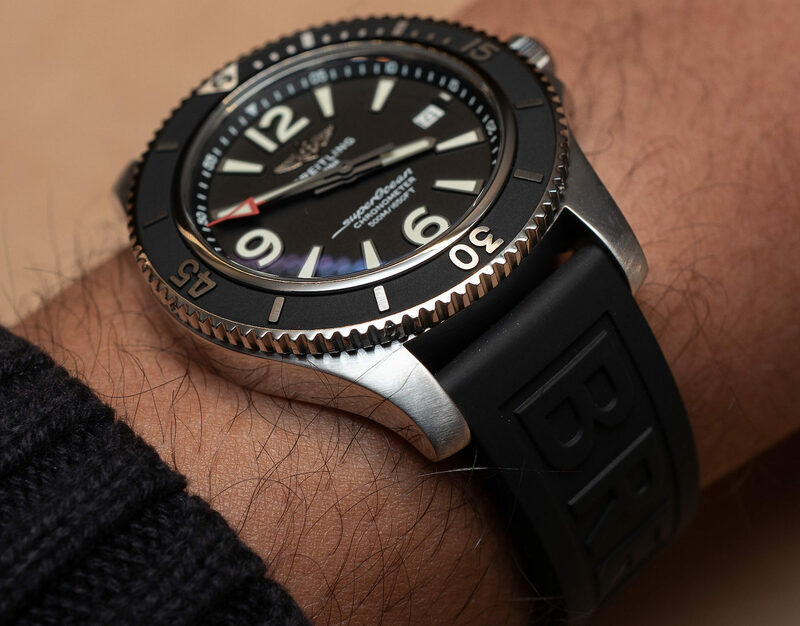 Price for the Breitling Superocean 42mm is $3,450 on the rubber strap and $3,950 on the bracelet; the 44mm is priced at $3,700 on the rubber strap and $4,200 on bracelet; and the 46mm is priced at $4,850 on the rubber strap (price on the bracelet hasn’t been announced yet). 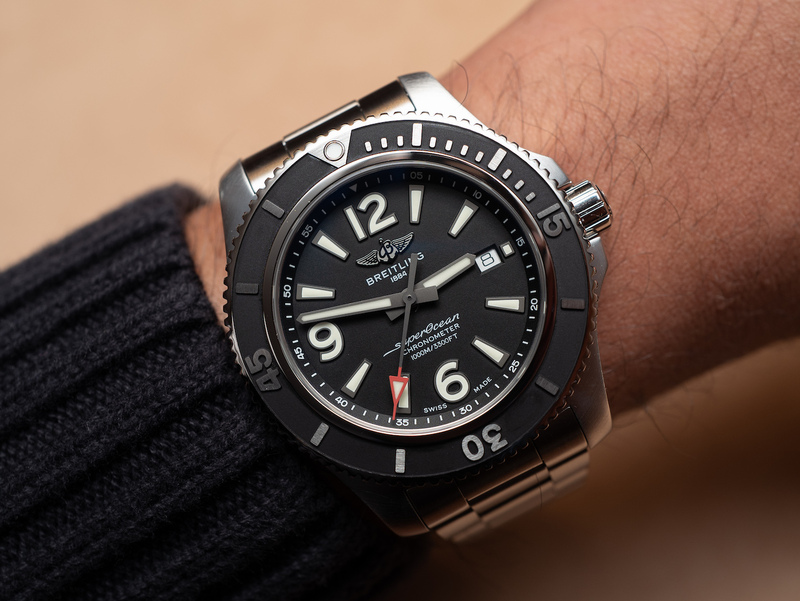 You can check out the collection and learn more at the Breitling site here. 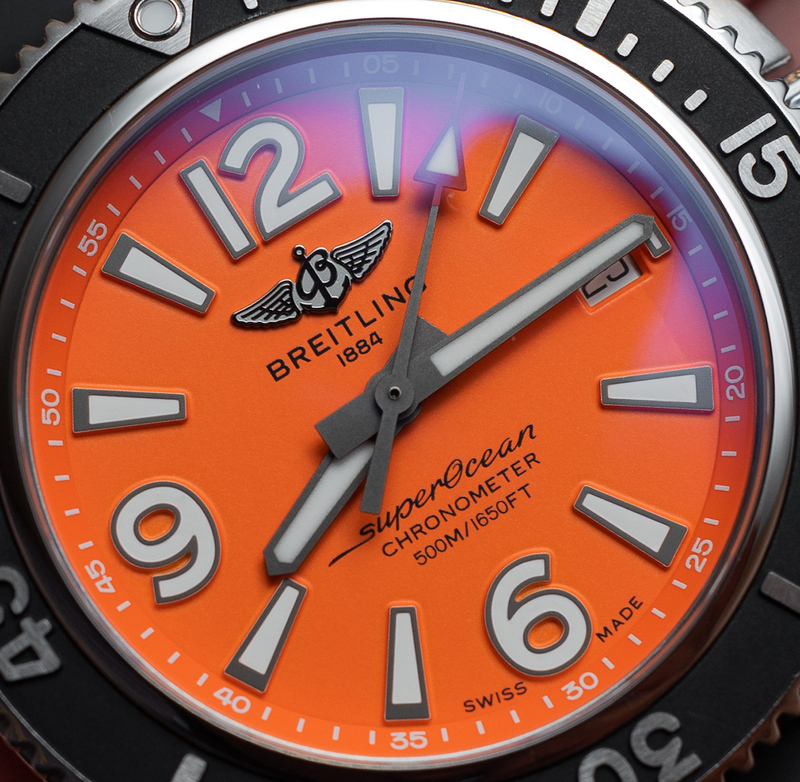 colt is back with its colorful dials.. wait its superocean now! whats the diff ? just the bezel..
Something you’d expect to see on a $100 Nixon or Nautica watch, definitelly not on a Breitling. Big aesthetic improvement and all they had to do was clean up the dial. This SOP is from the “love it or hate it” era of Breitling. I consider it to be one of the “pure” Breitlings. Funny, of all my watches this is one that will never be sold. It has been on duty with me since 1999. It still has specs that smash most hoity-toity dive watches in face, then nick their wallet. And their girl. But, people don’t want that. They want to signal, not dive. Also, master yatchmaster gmt master from yesterday. Not bad, but not terribly good either. Why get s Breitling when you can have a Seiko for an extra grand? Joking aside, I like the white dialed version, but the Tudor black bay still hold the number 1 spot for desired (within reason) dive watch list for me. No deal without rider tabs. I just do not understand why they would not use the Tudor caliber from the heritage. Slightly in comprehensible. Tudor can’t keep up with that kind of production. 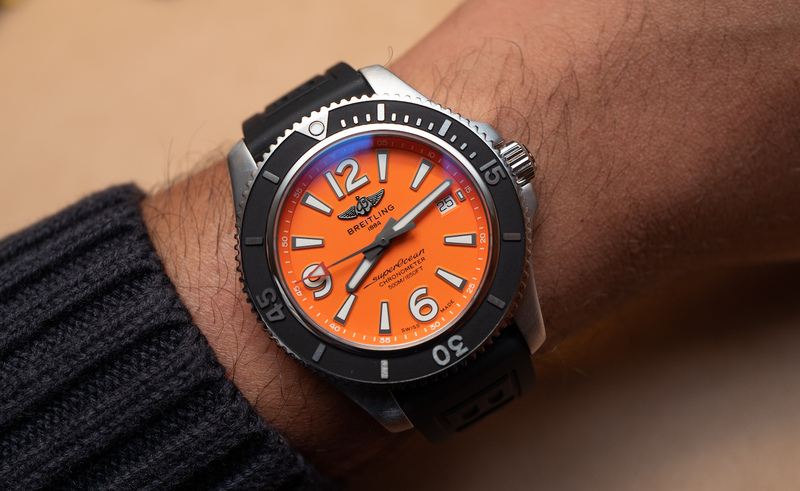 I like the white and orange versions, but find it incomprehensible why they don’t have a 42mm blue. 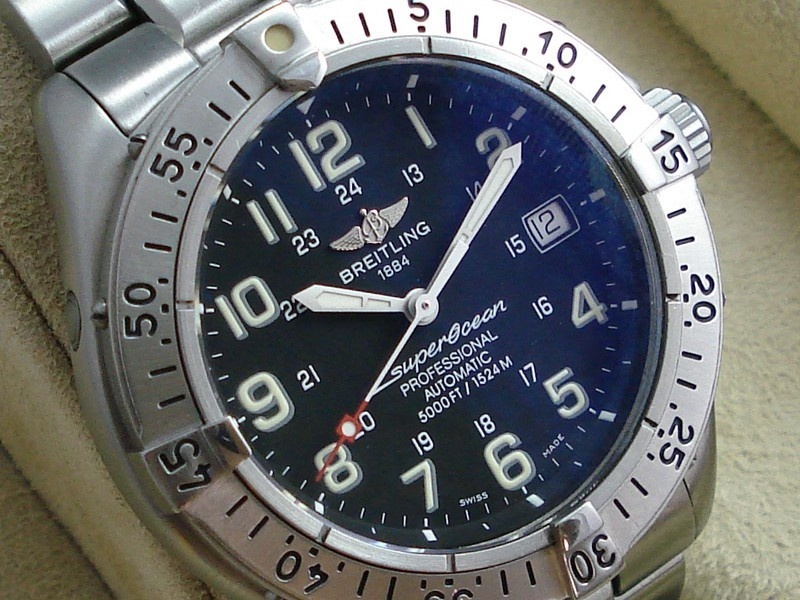 A Breitling that doesn’t much look like a Breitling. The matt finishes lack depth and as a result the watch doesn’t look… “fancy”? I’m not sure how to express it properly but there are certain qualities I expect to see in a premium watch brand, a jewellry-like quality that this thing, which almost looks like it is made from soft rubber and plastic, lacks. 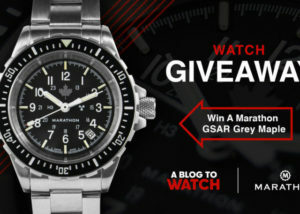 A cheap watch look for a premium price. Just looks like “some watch”. All the character has been taken out of it, and some of the specification too. A 42mm Superocean from nearly 20 years was smaller and went four times deeper than this one. Progress.